The “Senior Spotlight” will be a regular feature in The First Launch that focuses on various seniors at NAHS. If you have a senior whom you think should be recognized, send an email to kviolette@naschools.net with the subject line “Senior Spotlight”. Or, tweet your suggestions to @NAFirstLaunch #SeniorSpotlight. 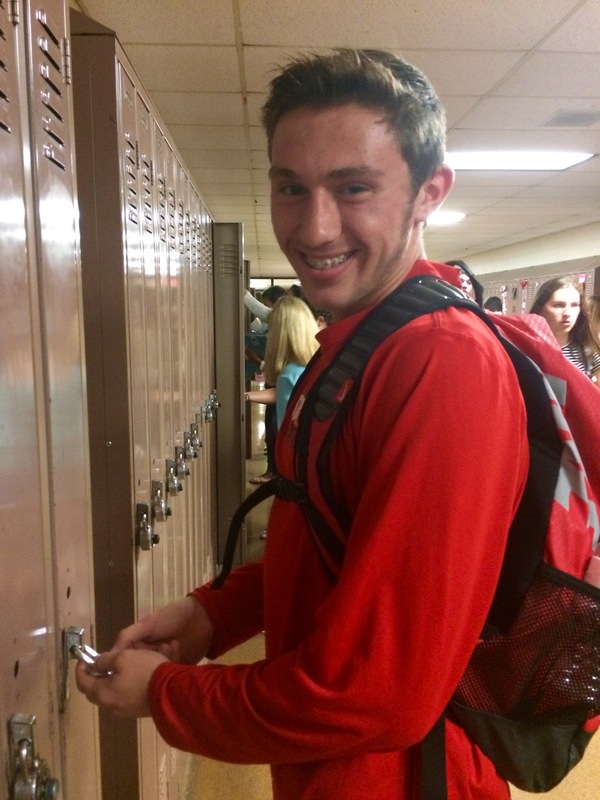 Senior Kyle Gaumond represents NAHS to the best of his abilities in and out of athletics. Kyle is involved in the Leo Club, is a starting wide receiver and cornerback for the Red Rocketeers football team and a 2016 basketball captain. Kyle has proven to be a valuable cornerback and wide receiver. In the 2015 football season opener, Gaumond got a crucial pick six, an interception returned by the defense for a touchdown, in the 4th quarter versus Stoughton. This play went on to get him nominated for the Hockomock Sports Player of the Week award.